Anne Finch is Chief Executive Officer of LHI and leads the Executive Team. Prior to being named CEO, Finch served as CIO of LHI for nearly four years overseeing the Information Technology department. In this role, she helped grow in LHI’s capabilities and lead strategic planning. 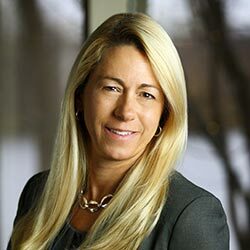 Before joining LHI, Finch was Vice President of UnitedHealth Group Solution Support Services, where she oversaw a team of 1,500 IT professionals around the world. Finch has 35 years of broad-based experience in Information Technology, at US Bank, St. Jude Medical, Assurant, Fortis, Health Partners, Arthur Andersen, MedVision, MedPower and MidWest Federal. She holds a Doctorate in Organization Development, a Masters in Software Engineering from St. Thomas University and a Bachelor Degree in Business Science from the University of Minnesota, as well as degrees in Computer Operations/Computer Programming from Century College. Finch is a former board member of the Minnesota High Tech Association and BestPrep; a mentor for Menttium, and a frequent guest speaker at schools and universities on technical careers and technology best practices. She lives in Wisconsin with her husband and four children.